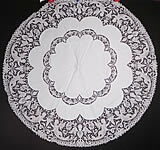 This Victorian era antique Point de Venise lace Renaissance cupid linen round tablecloth dates from the 19th century. 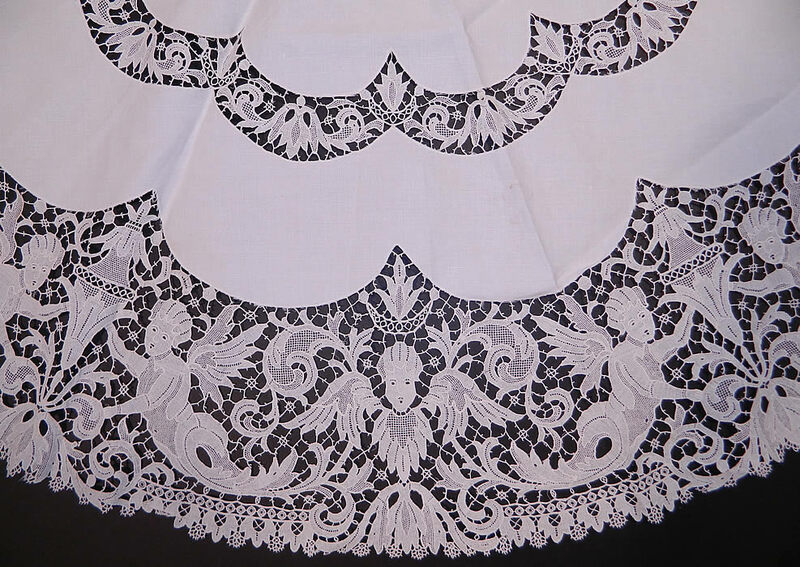 It is made of a white fine linen fabric, with delicate Point de Venise lace trim inserts and edging with buttonhole stitches, connecting brides and bars. 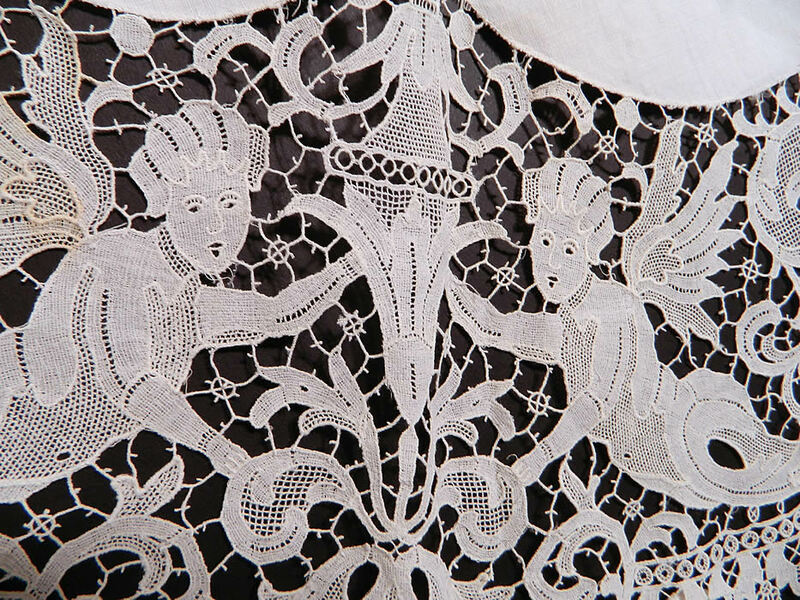 There is a decorative Renaissance inspired allegorical design with cupid angels and urns done in lace. 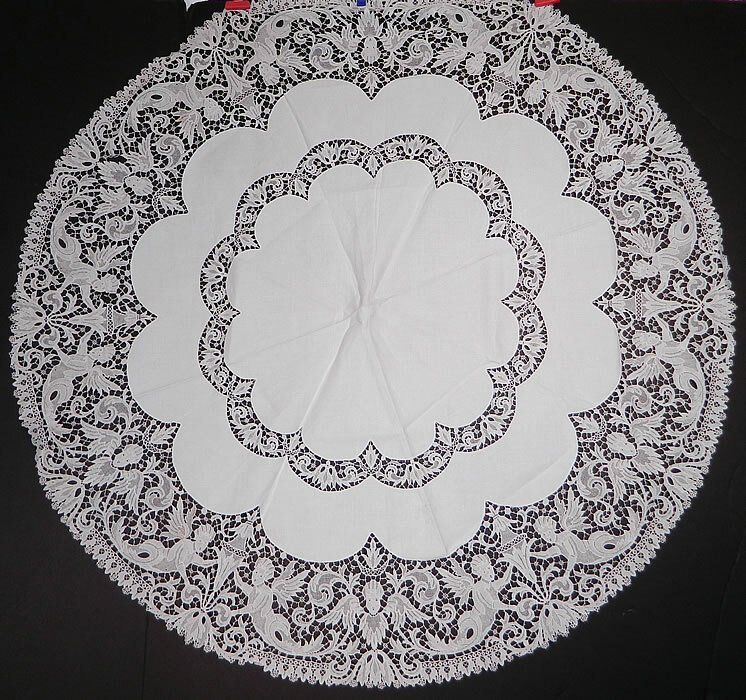 This lovely lace round tablecloth table cover measures 45 inches wide and is 143 inches in circumference. It is in good condition, but has not been cleaned, with only a few tiny faint age spot stains. 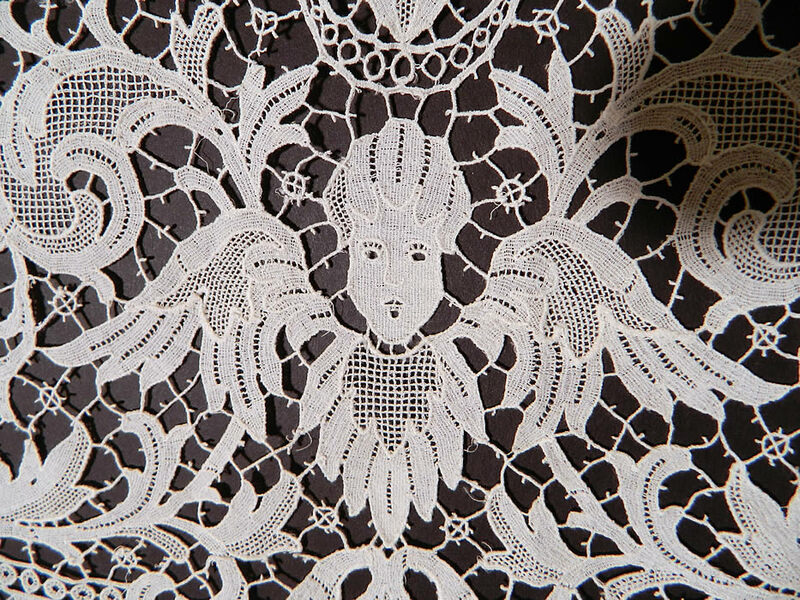 This is truly a wonderful piece of antique lace textile art!